Our open listening sessions are one of the programme highlights in the KLANGGESTALTEN exhibition. Each session is devoted to a type of instrument: either violin, viola or cello. All featured instruments and bows are presented for one hour in front of an audience and played in succession. 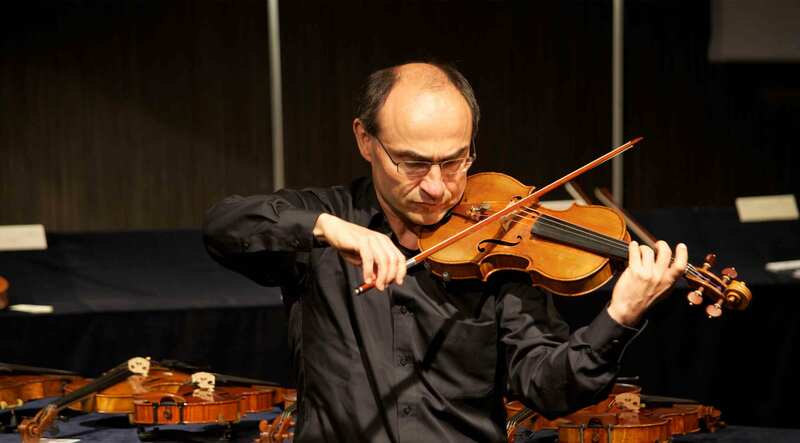 We engage the services of outstanding soloists, asking them to perform the same series of brief – but revealing – passages on each instrument or bow, thus allowing the audience to directly compare their timbre qualities. While visiting the exhibition, you may already have started forming a personal opinion of the timbre and playing characteristics of several instruments. Perhaps you have already begun to pick out some favourites. Now, thanks to the open listening sessions, you can fine-hone your opinion by adding a new perspective. Does the favoured instrument project its sound well, or do other instruments and other timbre aspects reveal new, unsuspected qualities when played in close succession? Does the bow you prefer merely lie well in the hand, or can it actually give the instrument a voluminous sound to fill an entire concert hall? Questions like these are what make these try-out sessions so fascinating. 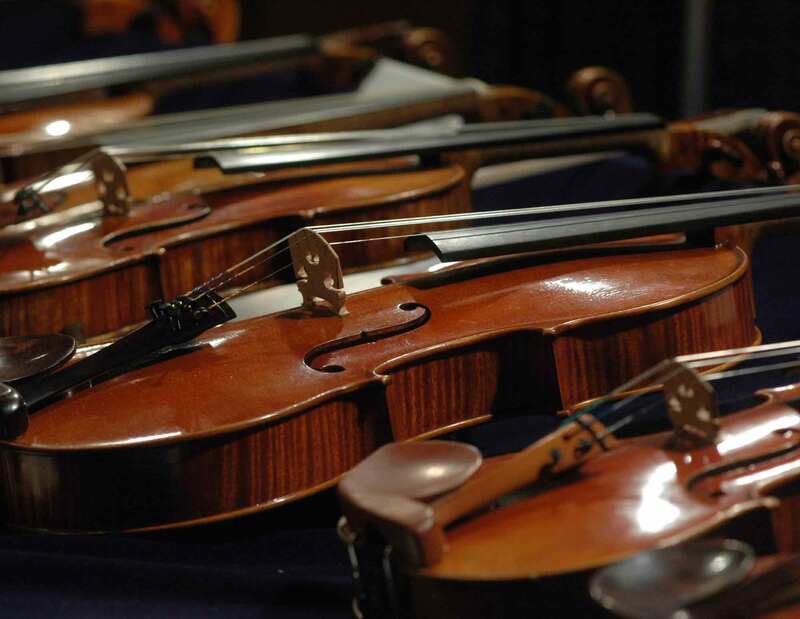 To ensure as much objectivity as possible, numbers are assigned to all the featured instruments and bows, and the maker’s name is only revealed at the end of the session. At the hall entrance, audience members can pick up a pencil and an evaluation sheet where they can note and compare their impressions of timbre. The soloist begins the session by successively trying out all selected master bows on his/her own instrument, going through the same group of bows several times. One series of try-outs can be devoted to testing the bows’ legato capability, while the next series can feature the different “jumping” techniques (spiccato, staccato, sautillé...). Particular attention is devoted to fullness of tone, ease of articulation, performance in lyrical passages, and sheer volume capability. In the second part of the open listening session, the soloist performs all featured instruments, inviting the listeners to corroborate and classify their judgements in two to three complete go-throughs on every instrument featured in the exhibition. Warmth of tone, salient harmonics, balanced tone across all ranges, variety of hues, good attack and projection are all placed under scrutiny. Thus the listener can become familiar with each instrument’s special character: musicians can compare what they hear in the auditorium with the experience they had when they tried out the instruments themselves. Fascinating discussion ensues. Thus, the open listening sessions offer a great deal of valuable insight to anyone who is on the look-out for a new instrument or bow.